As an intern, Cangjiao spent six weeks at Evonik in the Corporate Finance Division in Essen. In our students@Evonik blog she talks about her way to Evonik, her work in the different financial departments and her new passion for German bread. Opportunities often arise from unexpected places. My first point of contact with Evonik was on New Year's Eve in rural Cambridgeshire. I was in a busy English pub where a friend of mine introduced me to a long-serving Evonik employee with whom I started chatting. But before I continue, let me introduce myself: I am Cangjiao, 27 years old and I come from the Shanghai area. Two years ago, I moved to the Netherlands to study Business Economics at the University of Utrecht. Recently, I completed a six-week internship in the Corporate Finance Division at Evonik in Essen. In the following article, I would like to share with you how the internship came about, what experiences I made and what tips I have for others who may be interested in working with one of the world’s largest specialty chemicals companies. On said New Year's Eve, the Evonik employee told me about his work at the company. I listened to stories from his business trips to China and was treated to an impromptu chemistry lesson. My interest was quickly aroused and he recommended that I explore the possibility of an internship. Evonik offers internships in almost all segments (including the service units and the Corporate Center) and at all sites throughout the world. Depending on the division, the duration of an internship should be at least six to eight weeks (but I learnt that internships of three to six months are more common). I acted on his advice and applied in the days that followed. As the Evonik headquarters are located in Essen, I decided to give things a try in Germany. From that point on, everything moved very quickly: my interview took place in February and the internship started in July. 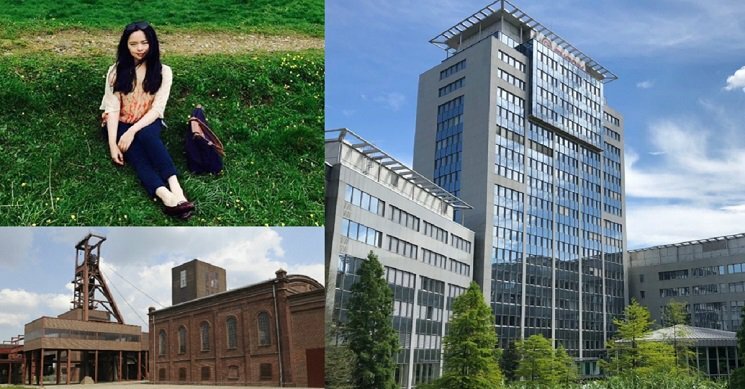 In my six weeks at Evonik, I had the opportunity to work in all departments of the Corporate Finance Division: Financial Controlling, Capital Markets and Group Advisory, Pension Asset Management and IT Back Office. This way, I experienced a new area almost every week and got a broad overview of the responsibilities and functions of the Corporate Center. Although I had already gained my first professional experience in China, my Evonik internship was probably my most decisive experience so far – both in terms of my career orientation and in the context of transferring university theory into practice. Since I have been living in the Netherlands for several years, I was fortunate that Germany didn’t hold too many culture shocks. Nonetheless, I still prepared myself for my summer in Germany. The first few months in any new country can be challenging but I truly believe that stepping outside of your comfort zone is always worth it in the long run. From my first day arriving at the office, I felt welcomed and any nerves I had quickly disappeared. All the colleagues with whom I worked were incredibly friendly, courteous and helpful to me. The Evonik way of dealing with interns is what I would describe as my highlight. I was encouraged to ask every question, no matter how small, and I got to make a real contribution to challenging departmental projects. My ideas were listened to, complex concepts were explained to me and I felt appreciated for my efforts. I am grateful to the whole team. This brings me to my tips for an internship abroad at Evonik in Germany. The German reputation for punctuality and efficiency is well-deserved. Before you start, proactively work with both your university and Evonik to obtain the German work permit and then book your accommodation well in advance. Once at the company, my top recommendation is to arrive on time for your appointments, and be fully prepared to engage directly on the topic(s) being discussed. Significantly, I also learned that language is no barrier at Evonik: English is widely spoken at the Campus in Essen and at the other Evonik sites. Nevertheless, knowledge of German is of course an advantage and learning some basic phrases will help you a long way. Last but not least, you should not eat too much German bread and get used to it – you will never want to go without it again! Apart from that, I can only say: Enjoy it! On the students@Evonik blog students working at Evonik share their experiences about life in the company. Feb. 13, 2019, 4:22 p.m. Thanks for the valuable and inspiring exchange today in Hanau! It takes you!